I Am and I Watch the Drama of Works, for flute and cello, is scheduled to be performed during this year's TUTTI Festival at Denison University in Granville, Ohio. The time and location of the concert are still TBA. ​I Am and I Watch the Drama of Works, will also be performed by Chatter as part of the 2019 SCI National Conference. The concert will begin at 10:30 a.m. at Las Puertas, 1512 1st St., Albuquerque, New Mexico. I am very happy to have been offered the opportunity to collaborate once again with the Boston New Music Initiative, who has asked me to write a piece of music based on a painting by artist Melanie Long. The new work will be premiered by the ensemble during their "Beauty of the Line" concert. 7:30 p.m., The Community Church of Boston, 565 Boylston St. 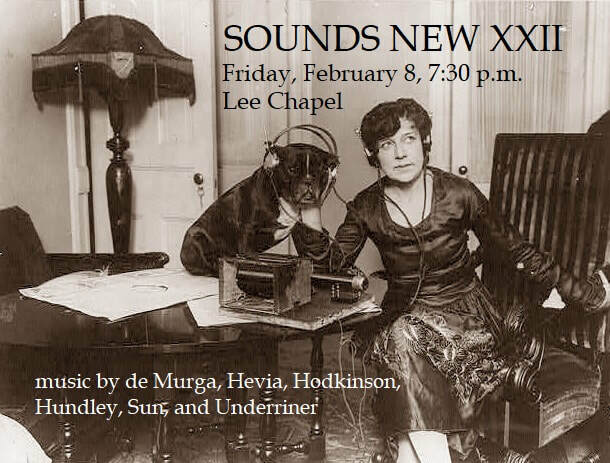 Professor of Flute, Tammy Phillips, and Professor of Cello, David Bjella, will perform I Am and I Watch the Drama of Works as part of the Stetson University School of Music's Sounds New concert: 7:30 p.m., Lee Chapel. A spectacular performance of I Am and I Watch the Drama of Works, Lonnie's Jethro-Tull-inspired duo for flute and cello, has been recorded and released on Albany Records by The Jano Duo: Naomi Seidman, flute, and Jonathan Dexter, cello. Click here to listen to the recording on YouTube. Lonnie's work for unaccompanied cello, Nefarious, will be performed as part of the Mise-En Music Festival at the Taipei Cultural Center, 1 E 42nd St., New York, NY 10017. Last April, Lonnie was selected as the winner of the Boston New Music Initiative's 4th Annual Commissioning Competition. On April 22, the ensemble will premiere the work written for them, SONIC LANDSCAPE: After the Rain. The performance will take place at 8:00, with a pre-concert discussion beginning at 7:30, at Arts at the Armory, 191 Highland Ave., Somerville, MA 02143. On a program of contemporary American song entitled, The Goddess Wept, soprano Maggie Finnegan will perform Lonnie's song cycle, Many Named Beloved, as part of Capital Fringe's Chamber Music Series. The concert is at 8pm in the Trinidad Theater, Logan Fringe Arts Space, 1358 Florida Ave. NE, Washington D.C. 20002.